I'm willing to bet you have your own favorite products in your skincare arsenal—I certainly do. I've been using coconut oil (and now, Kopari's Coconut Melt, $38) for as long as it's been on my radar. The smell is nostalgic and calming, the hydration is unparalleled, and it's completely organic. But sometimes, a product comes around that's so intriguing it forces you to question your loyalty. 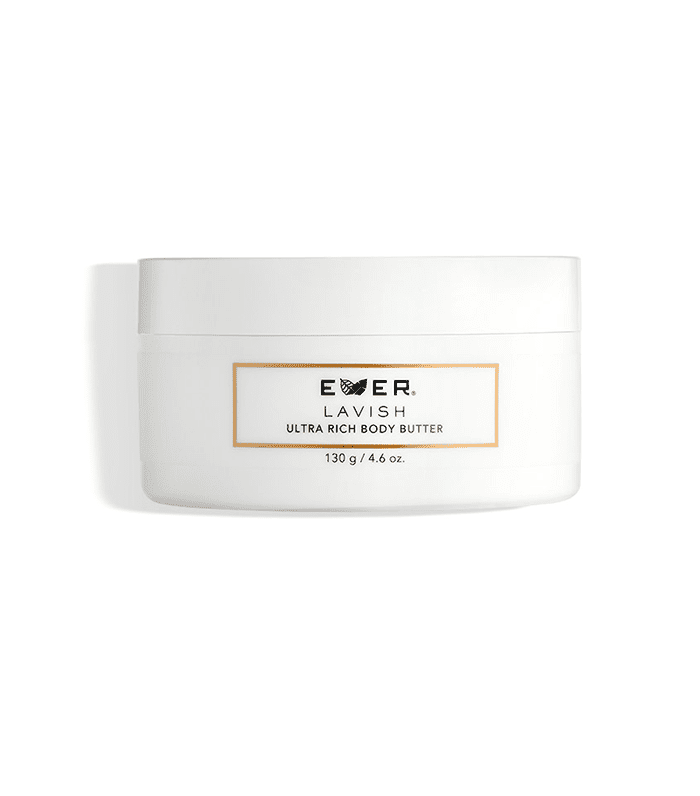 Such is the case with Ever Skin's Lavish Ultra Rich Body Butter, a deeply moisturizing cream filled with superfruit antioxidants, jojoba oil, and cocoa butter to restore your skin's elasticity and hydration. Apparently, it really works, as over 2000 people are standing by to receive the formula on the brand's expansive waiting list. It's meant to visibly reduce crepey skin in just 30 days (a promise Ever touts with all of its anti-aging products). Ani Hadjinian, the brand's general manager, speaks to the product's effectiveness: "Remarkably, 100% of users say Lavish leaves their skin moisturized and nourished. The product does a great job of addressing the appearance of skin crepiness and fights the visible effects of free radicals. Our customers have seen incredible before-and-afters using this product—the proof is in the pudding." So there you have it. Perhaps this one really is worth the wait. What's your favorite body butter? Let us know in the comments below.